The Board of Supervisors held a special meeting on Tuesday, March 6th, to hear public comment on the direction the Board provided on February 13th regarding the future of cannabis regulations in unincorporated Nevada County. The Board also clarified a few policy decisions at the request of staff, as staff has started the process of drafting a revised cannabis cultivation ordinance. The direction provided by the Board at these last two meetings has supplied enough information for staff to start assessing the environmental review requirements of a new ordinance. Staff's assessment, based on the Board's direction to allow commercial cultivation up to 10,000 square feet outdoors on various zoned parcel sizes, is that a comprehensive EIR will be required for the County's new ordinance. This is consistent with six other counties who have recently amended cannabis regulations in response to Prop 64's passage. Santa Cruz, Santa Barbara, Yolo, Humboldt, Calaveras, and Kern have completed, or are in the process of completing comprehensive EIR analyses. Staff is reviewing these documents, as well as the state's EIR, and will utilize applicable analyses as much as possible to avoid duplication of efforts, while considering that the local conditions in each county vary widely requiring a custom environmental review for Nevada County. Although there is some discussion suggesting the County could rely on the State's Environmental Impact Report (EIR), Amber Morris, former head of the California Department of Food and Agriculture Cannabis Program, confirmed during public comment at the March 6th meeting that the state's EIR is not comprehensive and leaves many areas up to local jurisdictions to analyze based on local regulations and local environmental conditions. This level of EIR would require contracting with a professional firm to conduct the analysis at an estimated cost of $350,000 and would take at least six months to complete. As discussed at the March 6th Board meeting, County Counsel's goal is to bring a draft ordinance to the Board for review in early May. After the Board has solidified its policy direction, Nevada County will be able to start the environmental review process. A cannabis ordinance cannot be officially implemented until the EIR is complete because any changes resulting from the environmental analysis will need to be incorporated into the final ordinance. With the typical environmental review process taking at least six months to complete, the County will not have a revised cannabis ordinance in place until late 2018 or early 2019 and the existing interim ordinance will remain in effect. 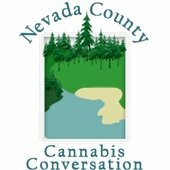 For more information, please visit the County's Cannabis Conversation website or contact the Community Development Agency Director Sean Powers at sean.powers@co.nevada.ca.us or (530) 265-1576. This week’s storm has brought much needed rain and snow to western Nevada County but has also created a challenge for those in our community without homes. Nevada County Health and Human Services (HHSA) has been working collaboratively with the cities and non-profits to provide shelter to the most vulnerable homeless residents in our community. This week, both HHSA and Sierra Roots funded motel rooms to help families stay out of the storm as well as free up space at Hospitality House, to increase capacity for shelter beds there. The County also partnered with Grass Valley to fund overflow capacity at Hospitality House this winter and has reached out to the Red Cross and Salvation Army about additional volunteer resources to assist in this collaborative effort. This weekend, Sierra Roots and Nevada City are opening a cold weather shelter at the Nevada City Veteran’s Hall this Saturday and Sunday evenings. Nevada County Health and Human Services Agency will be on site providing support through Behavioral Health, Public Health and Social Services as well as assisting with transporting equipment and setting the shelter up. Additional motel vouchers may be available through the weekend, through a referral process set up with the outreach workers at Sierra Roots and Hospitality House and logistical support from 211 Nevada County. Individuals needing shelter are encouraged to contact Sierra Roots or Hospitality House to see what shelter resources are available and most suitable for them. Motel vouchers will be allocated based on individual and family vulnerability criteria. The County recognizes the service gap that exists when winter storms bring unsafe environmental conditions for those without homes in our community, and continues to be committed to working with the cities and nonprofit service providers in developing solutions to these issues. In 2014, the Sierra Business Council accompanied a team of community leaders on a visit to the California Public Utilities Commission in San Francisco to discuss an exciting local broadband project. The project, known as the Bright Fiber Network, would install direct, to the door, 1 gigabit Internet and data speed via fiber optics to approximately 1,963 households spread amongst about 21 square miles in underserved Nevada County communities. This would provide a redundant broadband infrastructure in the area that could benefit educational, medical, and public safety entities. In 2015, Spiral Internet received a grant for $16,839,451 to install a Bright Fiber Network in the outskirts of Grass Valley and Colfax area. Spiral Internet is now weeks away from announcing how the project moves forward, and when shovels will hit the ground. Find more progress updates on Spiral Internets Bright Fiber Network project on their website. KVMR Community Radio will host a community discussion, Affordable Housing: A Nevada County Dilemma, Tuesday, March 20th from 6 p.m. to 8 p.m. at the Nevada Theater, 401 Broad Street in Nevada City. The discussion will also be broadcast live on KVMR Community Radio / 89.5 FM. Affordable Housing is a Priority A Board Objective for the Board of Supervisors in 2018. KVMR is hosting this Town Hall Forum to inspire a constructive and engaged conversation around the issues and impacts of the affordable housing shortage on our community. A panel of local business experts will offer their perspective and thoughts on the state, and future, of affordable housing in Nevada County, including Brendan Phillips, County Housing Resource Manager; Brian Foss, County Planning Department and Zoning Administrator; Mimi Simmons, Cornerstone Realty Group; Chuck Durrett, Principal Architect, Co-Housing Company; Andy Cassano, CEO of Nevada City Engineering; and Lorraine Larson, Executive Director, Nevada County Habitat for Humanity (as of April 1st, 2018). This event will be moderated by Paul Emery of KVMR. A local media panel will participate and asking questions of the panel. There will also be an opportunity for audience members to ask questions. Sunday, March 18th, marks the 55th anniversary of Gideon v. Wainwright, and the third nationwide celebration of Public Defense week. The Nevada County Public Defender's Office is joining forces with National, State and County wide public defense offices and other indigent defense organizations to celebrate and commemorate this historic event. Fifty-five years ago, when the U.S. Supreme Court decided the landmark case of Gideon v Wainwright, a right to counsel for people too poor to afford to hire a lawyer, was established. Public Defenders are the vanguard of the current civil rights movement. They are dedicated workers who diligently strive to bring Justice to our criminal law courts. They are supported in their work by paralegals, investigators, legal secretaries, social workers, private advocates, and private criminal defense lawyers. Together they are warriors against social injustice, abuse of power, inequities and inequality. Public Defenders work hard and advocate for people in order to restore and affirm their human dignity and values, and to vindicate their legal and human rights. Join in with the Nevada County Public Defender's Office to spread the word of the importance of equal and social justice. Uphold and embrace the principles behind our Constitution. Stop and reflect on the importance of indigent defense work and how it makes this world a better place. Tell a story that humanizes someone and illustrates how those represented by public defenders are not the stereotype that are often times depicted in the media. Impart to someone that his or her life really matters. Convey to a public defender that they are doing a great job. Express to your friends, family, colleagues, clients, and the world why Indigent Defense work matters. If you'd like more information on the Nevada County Public Defender's Office, please contact Public Defender Keri Klein at (530) 265-1400 or publicdefender@co.nevada.ca.us. County of Nevada Transit Services has received a Low Carbon Transit Operations Program (LCTOP) air quality grant that provides public transit funding assistance for projects that help reduce greenhouse gas emissions and improve mobility. Gold Country Stage will provide free fares for all riders on all routes, and will be operating their normal schedules and times on Saturday, 3/17, from 7:15 a.m. to 8:00 p.m.
Don't forget to wear your green for Free Fare St. Patrick's Day on Gold Country Stage! Bus schedules are available in the Gold Country Stage Rider's Guide, at www.goldcountrystage.com or call the office (530) 477-0103 x 0 for travel planning information. On Thursday, March 22nd, join the Business and Career Network, Sierra Business Council and the Nevada County Economic Resource Council for a free workshop on Alternative Financing: Beyond Conventional Loans with Kristin York from 8:00 a.m. to 10:00 a.m. It will be held at the Business and Career Network located at 988 McCourtney Rd, Grass Valley, CA 95945. To reserve your spot for the workshop, register online before the event. This workshop is the first of four in The Success Series: Better Business Growth designed for small and medium business owners and entrepreneurs who want to grow. Following the workshop on March 22nd, register and attend the Startup & Expansion: Business Plan for your Goals with Leslie Williams on April 12th, Marketing Strategies: The Big Picture with Catharine Bramkamp on May 3rd, and Greatest Hits: Answers to your Business Questions on June 5th. Kristin York, Vice President of Business Innovation at SBDC, who has 20 years of experience in strategic planning, finance, operations, marketing, training, and business transformation will be presenting financing options for businesses who are not able to take advantage of conventional loans due to a variety of factors. Kristin will cover topics like bootstrapping, crowdfunding, equity investments, and other options for businesses who may not be able to walk into a bank and access capital. It was recently brought to the attention of Nevada County’s Transit Services department that there was confusion between the Southbound and Northbound Alta Sierra and Little Valley Road bus stops. Both the Southbound (Grass Valley to Auburn) and Northbound (Auburn to Grass Valley) bus stops had the same name, Alta Sierra and Little Valley Road, yet are located at different locations at about 500 feet apart on opposite sides of the road. To make Nevada County’s public transit as easy as possible for all riders to access, Gold Country Stage is updating the schedules to reflect the true locations of these stops. The Southbound Route 5 stop will now be called Alta Sierra and Johnson Place, while the Northbound stop with remain as Alta Sierra and Little Valley Road. The schedules have been updated on the Gold Country Stage website and new schedule inserts will be posted at the bus stops effective immediately, indicating the name changes as well as direction of travel. In addition, the printed Gold Country Stage Rider's Guides will be updated as soon as possible. Please make a note of these changes and help us to inform all Gold Country Stage riders who may be affected. If you have any questions, please contract Transit Services at (530) 477-0103.